Under this pension scheme the man who went to Siberia, which is a pretty safe theatre of actual war, and the man who went to England and enjoyed life there, are entitled to the full disability pension, if they fall and break their leg in the street, or if they receive some other disability not directly due to the war. But if the man that did exactly the same work in Canada receives disability he is not entitled to any disability pension whatsoever. 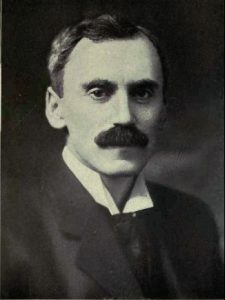 Newton Rowell. From John Castell, The Canadian Annual War Series Volume 4 (Toronto: Canadian Annual Review, 1918). Cooper was unpleased. He stated, “I think the treatment under this section is, therefore, unfair.” Rowell deflected, choosing instead to speak about veterans’ eligibility if they had pre-existing disabilities before their enlistment. When Alfred Fripp, MP of the City of Ottawa area, again asked why a distinction is made between a soldier who served only in Canada and another who served in England, Rowell again refused to answer the question. This debate in the House of Commons erupted over the “theatre of actual war” clause in the Pension Act of 1919. The “theatre of actual war” was defined as “. . . the zone of the Allied Armies on the continents of Europe, of Asia or Africa or wherever the member of the forces has sustained injury or disability directly by a hostile act of the enemy.” Soldiers who had suffered an injury while serving in an active theatre such as France were eligible to receive a pension, while those injured while on duty in Canada were not. MPs objected to this clause because it was uncompassionate and perhaps could have been perceived as unjust to the men who had sacrificed their lives for the Dominion of Canada. Yet claims based on compassion did not win veterans a pension. Pension eligibility hinged on two factors: attributability of one’s disability to military service and having served in an active theatre of war. Private Andrew McGahey, an Indigenous veteran from the Munsee Reserve, was impacted by these laws in a rather bizarre way. Enlisting in December 1915, in southwestern Ontario, McGahey was transferred to Strathroy, Ontario for training with the 135th Battalion. In March 1916, with a thin layer of snow covering the ground, McGahey slipped in a shell-hole while on parade, and twisted his knee. As it swelled, his doctor found that he had torn several ligaments. He was reassigned to light duty, but due to his injury, was discharged as medically unfit in June. After applying for a pension in November and being denied, McGahey’s case was eventually called to a tribunal hearing in April 1931. The Department of Pensions and National Health had received conflicting evidence, as McGahey’s military doctor, upon examining him at Strathroy, wrote that his knee was a pre-enlistment condition, and was actually not any different than before the war. McGahey’s current doctor, W.H. Woods, testified on the contrary that his condition was actually suffered on active service, not aggravated by a pre-war condition. A tribunal hearing was called as a result to determine whether or not McGahey would receive a disability pension for his afflicted knee. McGahey’s defence was clear and concise. Dr. Woods testified that McGahey’s present condition of osteo-arthritis was the result of his injury while parading in Strathroy. Three of his comrades, Alexander Nicholas, Elijah Nisham and George Nicholas, all swore that he was no longer able to participate in the recreational activities in which he had partaken before the war due to pain in his knee. The header to the sports section of the WUB, a journal by the Western Universities Battalion–196th training at Camp Hughes. October 21, 1916. Nisham had a way with his words. Sensing the stubbornness of the tribunal members, he began to answer his questions with great wit. When Nisham was asked if he was in better physical condition was twenty years ago, he said about playing soccer, “I don’t know. I never had a man pass me in defence yet.” Sensing he had caught Nisham in a bind, one tribunal member asked, “That’s the way some of them get sore knees, isn’t it – getting past?” Nisham responded, “Well, they try to get past.” The members did not ask Nisham any further questions. 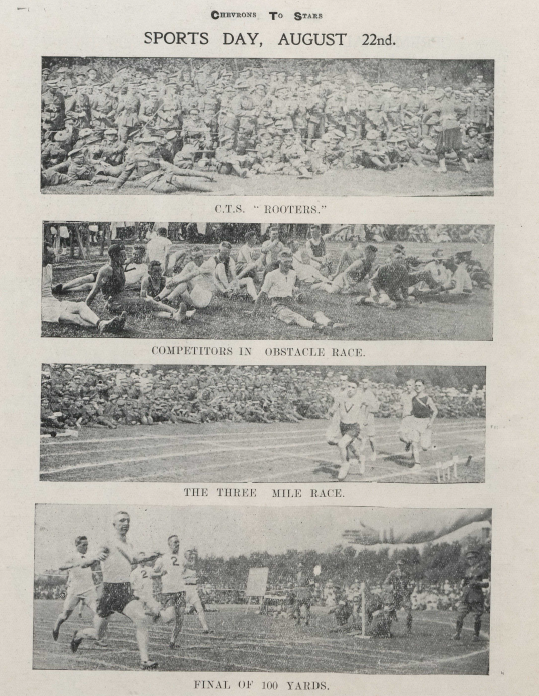 Canadian soldiers in training participating in various sporting activities. From Chevron to the Stars: the Official Organ of the Canadian Training School, October 1917. Although Nisham’s testimony was rather humourous, it did not win McGahey a pension. Members of the tribunal ruled that his disability was a “pre-enlistment condition not aggravated.” Interestingly, nowhere during the tribunal hearing did members allude to McGahey having served only in Canada, yet it is obvious that it was indeed the reason McGahey was denied a pension. McGahey’s testimony was clear––there was no indication of any knee injury before he enlisted in 1915, and only when he slipped and tore several ligaments while marching in the Strathroy snow did he experience mobility issues. Attributability could not be established; the tribunal had no choice but to turn to the “theatre of war” clause to deny McGahey a pension. This case serves as an example of those deserving of a pension versus those who were not. Soldiers who served in a non-active theatre of war such as Canada were perceived as having given a lesser level of service than those who served in an active theatre. The First World War had indeed produced the beginnings of a welfare state in Canada, but its role was to remain limited in the lives of veterans. By limiting pensions to only those who had validated their masculinity as combat soldiers––those held in the highest regard––the state could parry any challenge to manliness that the pension system might have imposed. For men such as Andrew McGahey, rejection would have been a tough pill to swallow, especially given his conviction that his injury was a result of the service he had given his country. Canada, House of Commons. 1919. Official Report of the Debates of the House of Commons of the Dominion of Canada: second session, thirteenth parliament (Ottawa: Printer to the King’s Most Excellent Majesty, 1919), 4176–77.